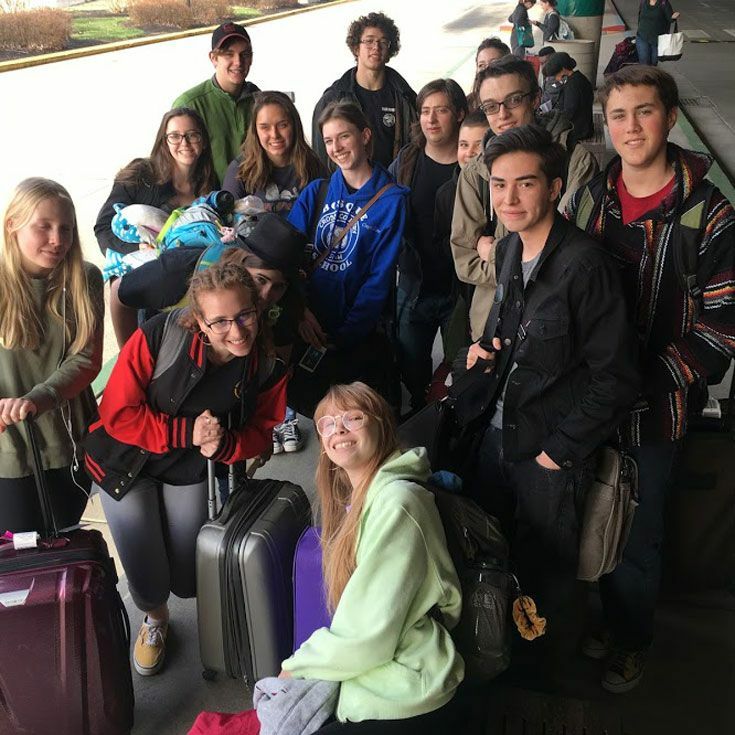 Fifteen Bosque students headed to Louisville, KY, last weekend for the USITT19 Conference and Stage Expo, a technical theatre conference hosted by the US. Institute for Theatre Technology, Inc. (USITT). 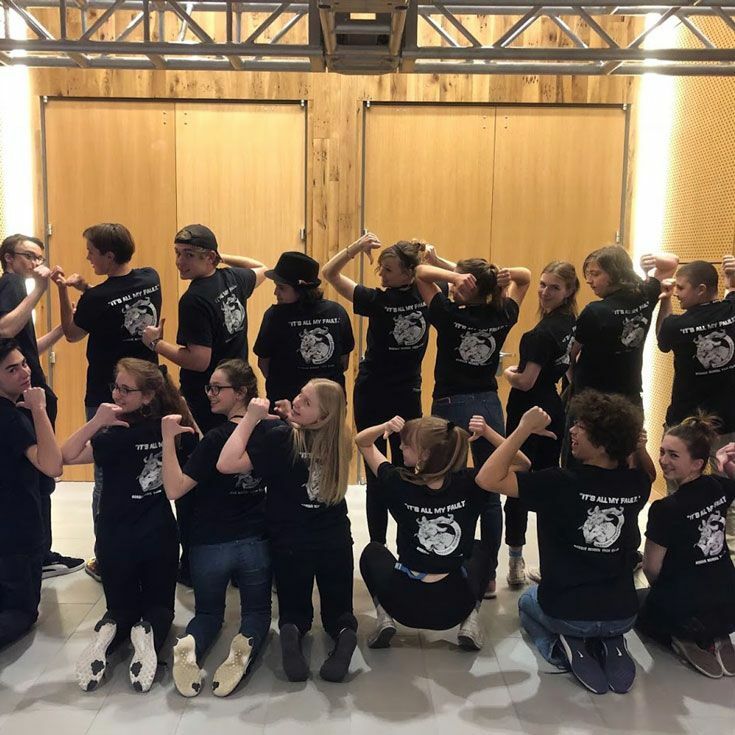 A highlight of the conference is the popular Tech Olympics, which brings teams of students and their coaches from colleges and universities around the country to compete in a timed series of events designed to test their skills at the various disciplines involved in theatre production. 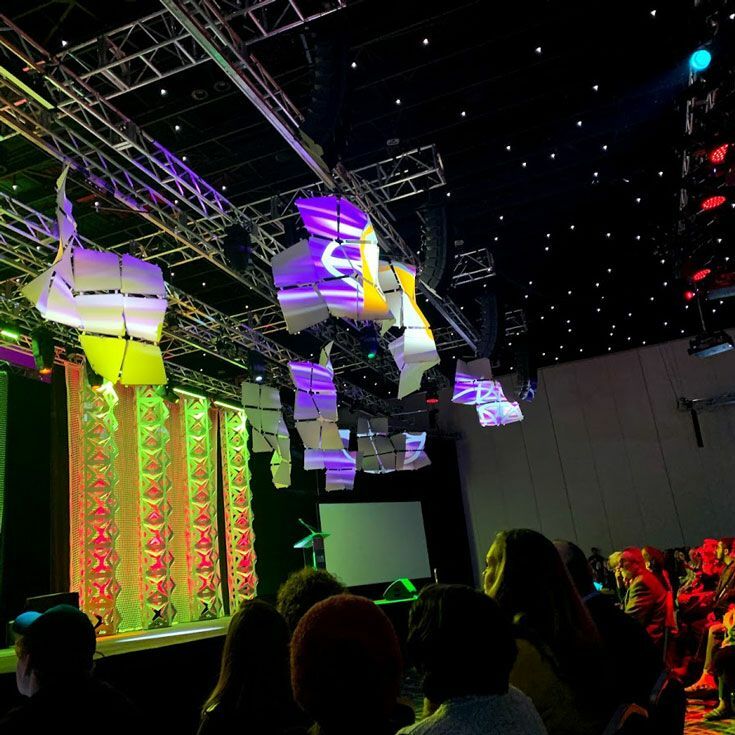 The Olympics at USITT19 pitted teams of students against each other in friendly, yet competitive, events including lighting, sound, costume, knot tying, rigging, and stage management. Two students emerged victorious in the competition: Quinn ’20 placed 1st and Jacob ’20 placed 3rd in rigging (knot tying). Ms. Bode, with visual/performing arts teacher Michael VeSeart, accompanied the students on the trip.